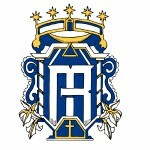 Regina Mater is an educational community of Catholic families. Within the context of the Family and the Church, under the guidance of Mary, Mother and Educator, the aim of our educational activity is to form saints for our time through organically-structured education in communion with the family. We provide classroom instruction, guidance for the homeschooling day, family celebrations of the liturgical year, and theological formation for parents. Regina Mater is a 501c(3) that operates as an apostolate of Catholic families in the Diocese of Austin.